It’s Survey Thursday, meaning we’ve got a new survey for everyone to take part in. So sit back, relax, and have some fun. Simply use the comment blog below on this blog page and input your answer. Hope you all have a fantastic Thursday! 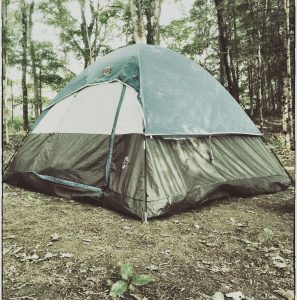 #1 depends on my mood – if I am feeling social, the bunk beds (which I did often when backpacking in my twenties), when in nature, I’d choose the tent. #2: collect my own food – I love being able to pick Nature’s bounties and sustain myself for free and from nature… 🙂 And, I have my husband to start the fire. Haha nice response to that last question regarding the fire. We have yet to venture in an area where we had to catch food but the thought of it is kind of appealing. Camp alone and find food. That whole making fire thing…ugh. Interesting, the fire making is a hit or miss so can’t argue that point lol. Camping alone can be terrifying but very rejuvenating and get some solitude. Camp alone and find food. Lots to find this time of year. Imagine if in a rain forest. There would be an overabundance of food. Haha it’s fairly easy to setup once you get the hang of it. We’ve been doing it so often that we’re at the point to where we now setup and take down our tent including our belongings under 10 minutes. Now I will admit though, I myself don’t take much part when it comes to popping the tent up mainly because he prefers to do it himself. So fast to assemble, didn’t realize that. I prefer fresh produce from nature. Lol I’m with you on that, if only I could find fruit out here.